Barry Tuckwell is the most recognizable name in solo horn playing in the latter half of the 20th century, but he is also revered as a conductor, educator, and author. He was present at the first horn workshops and was the first president of the IHS. 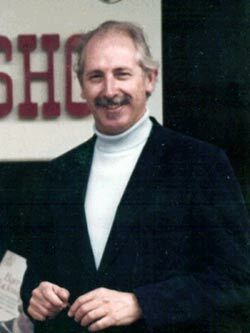 Barry was born in Melbourne, Australia in 1931 into a musical family. He learned organ, piano, and violin and has perfect pitch. He started playing horn at the suggestion of family friend Richard Merewether, who became his first horn teacher. At age 15, Barry joined the Melbourne Symphony Orchestra as third horn, moving to Sydney a year later to study with Alan Mann at the Sydney Conservatorium and play assistant to Mann in the Sydney Symphony Orchestra. In 1951, at age 19, Barry arrived in London. Over the next four years, he played in the Buxton Spa Orchestra, Halle Orchestra, Scottish National Orchestra, and Bournemouth. In 1955 he became first horn of the London Symphony Orchestra, a position he held for 13 years. He was also on the board of the orchestra and chairman of the board for six years. Barry left the LSO in 1968 to pursue a free-lance solo career. He had already begun that type of work, so the transition was smooth. "If you are the principal in an orchestra, in a sense you are playing in public more, because you have to come to the rehearsals, which are not just yourself playing. The other thing is that if you are playing in an orchestra, you are actually playing more. If you're not in an orchestra, you to be very careful not to under-play. You have to actually practice more - you have to, otherwise your lips go, you lose all your strength. It's not easier - it's just another set of problems." Barry is the world's most recorded horn player and has received three Grammy nominations. He formed a horn trio and a wind quintet with which he toured and recorded. Barry lists as inspirations Dennis Brain, Gottfried von Freiburg, Tommy Dorsey, the Chicago orchestra with Farkas, and the Cleveland Orchestra. He championed the double horn when the British tradition held to single horns, and he worked with Mark Veneklasen, Walter Lawson, and Holton in testing, analyzing, improving, and designing horns. He played the Holton Tuckwell Model 104 with a Lawson bell for his retirement concert in 1997. The Kruspe sound is his ideal. Barry taught at the Royal Academy of Music in London for ten years, has been artist-in-residents at Dartmouth and Pomona College, is a Professorial Fellow at the University of Melbourne, and leads the Tuckwell Institute summers in the US. Barry has inspired many composers, including Thea Musgrave, Gunther Schuller, Richard Rodney Bennett, Don Banks, and Oliver Knussen, who have written concertos or chamber music for him. Barry founded the Maryland Symphony Orchestra in 1982 as its conductor, has been chief conductor of Tasmanian Symphony Orchestra, and has conducted many other orchestras such as the London Symphony Orchestra, the West Australian Symphony Orchestra, and the Queensland Orchestra. In addition to serving as the first president of the IHS (1970-76), he served again as president from 1992-94, and then continued as a member of the Advisory Council until 1998. He was elected an Honorary Member in 1987. 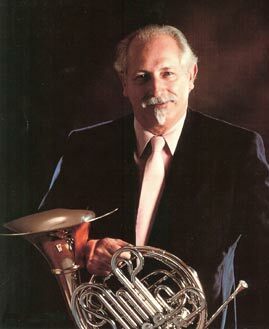 He is also Honorary President of the British Horn Society and a Patron of the Melbourne International Festival of Brass. The Barry Tuckwell Scholarship was established with the IHS in 1997 to encourage and support worthy horn students to pursue education and performance by attending and participating in master classes and workshops anywhere in the world. Barry was made an Officer of the Order of the British Empire in 1965 and a Companion of the Order of Australia in 1992. Among the many other awards he has received are the Honorary Doctor of Music from the University of Sydney, Fellow of the Royal College of Music, Fellow of the Royal Society of the Arts, the George Peabody Medal for Outstanding Contributions to Music in America, the Andrew White Medal from Loyola College, the Harriet Cohen Memorial Award, the JC Williamson Award, and the Bernard Heinze Award for outstanding contribution to music in Australia. He is also an Honorary member of both the Royal Academy of Music and the Guildhall School of Music in London. In 2007 Live Performance Australia presented him with the James Cassius Williamson Award for performing excellence. The May 1997 issue of The Horn Call is devoted to Barry and includes a discography and bibliography.